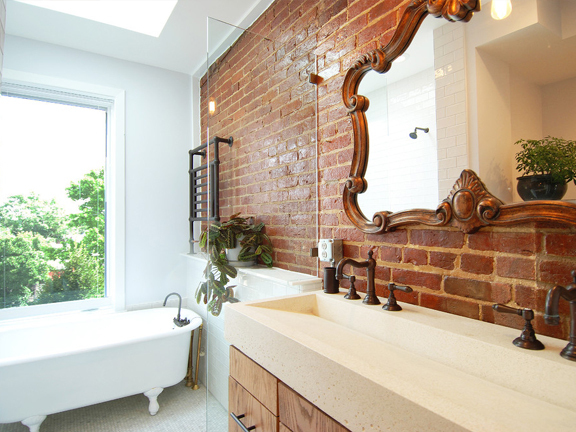 While many homeowners strive for a sleek, minimalist look in the bathroom, it’s a nice change of pace to incorporate some exposed brick for an unexpected touch. 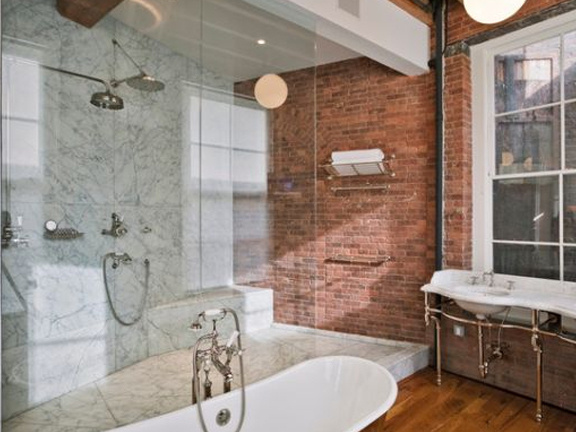 There’s just something so charming about an exposed brick wall in the bathroom. Instead of covering up the brick with sheet rock, embrace its beauty. There are many ways you can treat the brick so that it’s more livable. 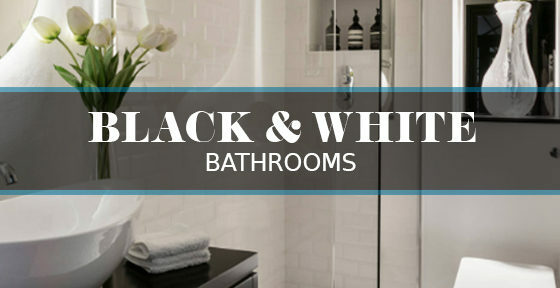 Try a satin finish to seal the bricks, or paint them white that all-white bathroom look. 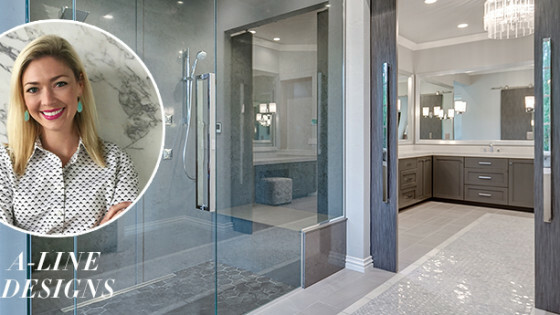 Before you plan to deconstruct this living beauty, take a look as some of these gorgeous bathroom designs. Create a cozy space by placing a claw foot tub in a brick wall corner. 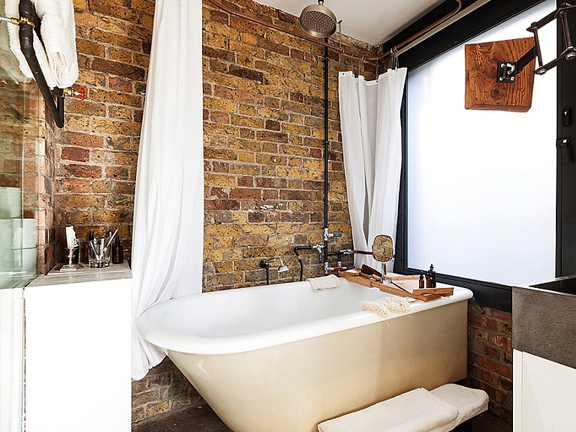 Mixing the vintage nature of the tub with a rugged element like brick creates a beautiful contrast. All you need is a basket of fluffy towels and a sleek tub filler for that luxe bathing experience. 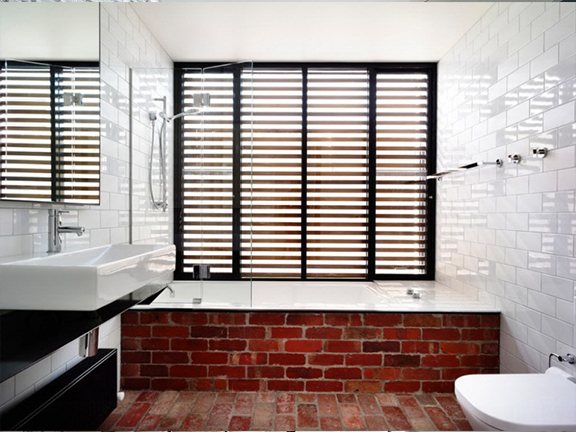 If you don’t want too much brick, try just accenting an area in the bathroom. Maybe it’s a small column, or just a peak you have above the window. A small touch will go a long way. 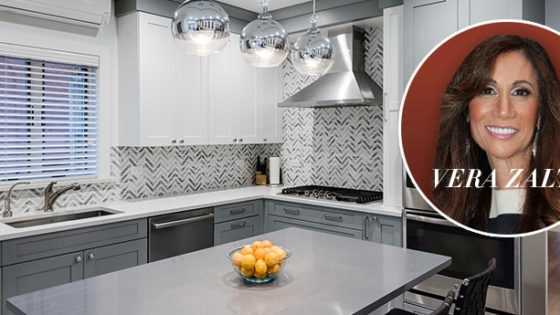 A brick backsplash will bring a wow factor to your space. 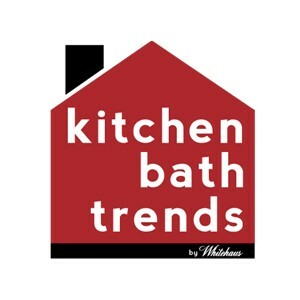 It’s such a durable material and is great for a room with a lot of moisture like the bathroom. Create an interesting pattern on the bathroom floor! If you choose to use brick as your floor, definitely choose your finish wisely. You won’t want to walk barefoot on rough bricks, so consider using a very durable coating to smooth out those jagged edges. Bringing bricks into the shower will give you the feeling of bathing outdoors. What can be more freeing? Be sure to use glass doors to show off the walls. If you’re not a huge fan of the natural maroon brick color, go ahead and paint them! 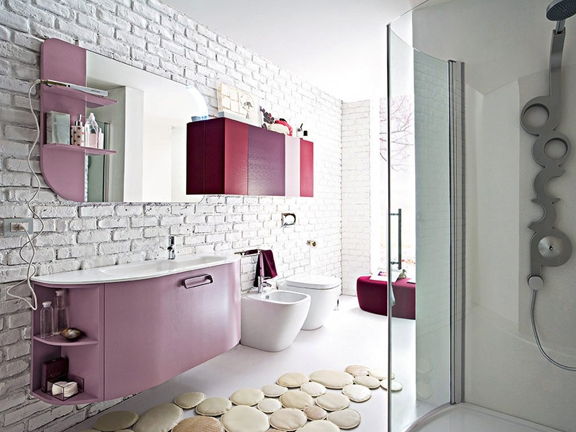 Make your bathroom brick unique by choosing a color to match your décor. Exposed brick walls are popping up in home all over the country and are normally found in a city loft or even an old barn house. It’s rare to find brick in the bathroom which is what makes it such a unique material to use. 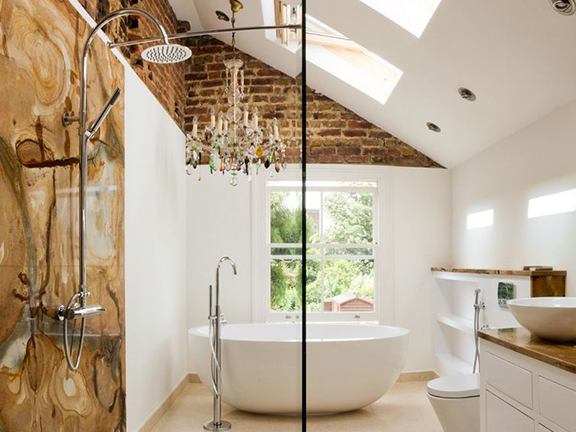 Adorn your bathroom with some exposed brick and you’ll be sure to fall in love.